In the beginning God created and He named. He called the darkness Night and the light Day. The dry land He named Earth and the sky above Heaven. He created the sun, the moon, and the stars, giving each a specific name. Meaning is inherent in a name, giving identity to an object or a person. Like the sun, we, too, are known by our names. But Jesus is a man of many names—three hundred, according to some scholars. We know right away away that He is not like us, with our simple, singular names. Getting to know the names of Jesus introduces us to who He is. It’s the starting place for discovering the greatest treasure, a relationship with the eternal God. In learning the names of Christ, our believing begins. I stood nestled in our college choir with the second-altos, clad in a uniform dress that somehow carried the ability to transform my appearance into that of a black olive. The first few notes of the piano introduction were lilting over the auditorium, in our first number after the break: Jesu, Dulcis Memoria.Jesus, sweet memory. But as the notes softly vibrated, a member of the crowd, we found out, had been seizing. What I did not anticipate was that, as the word Jesu slipped from our mouths, the seizure would cease. I’m sure that some could call it superstitious or unfounded to correlate the two. And I’m willing to admit there are other explanations. And yet—I’m fascinated by stories like this in Scripture: God’s power in Elijah’s bones; in Jesus’ coat; in Peter’s shadow. Still—the power of His name, without question, is a “strong tower; the righteous run into it, and they are saved” (Proverbs 18:10). It is what God refers to over and over again as a reflection of His glory—the same glory that seems to bring men face-down to the ground time and time again in Scripture. That beautiful name is coming to Muslims around the world in dreams. It is not only humble and sweet enough to be lisped in children’s bedtime prayers, but also weighty enough to be uttered in the dank cells of persecuted Christians, who shelter under His protection and His promises. This is a name that refuses to be flattened by our agendas, yet saves those who simply call upon it in belief. This week, you’ll be tempted to lose the celebration of Christ’s birth in a swirl of fairy tales and merchandising. You might trivialize the stunning miracle of God becoming human with toys, tinsel, and trips to the mall. The Bible tells us: “looking to Jesus” (Hebrews 12:2) Learn His names, and in doing so you will know more of Him. As a countdown to Christmas, we are sharing a name of Jesus each day this week. We want to help you see and know this Jesus you long for. Seeing Him will stir a response of adoration and worship. 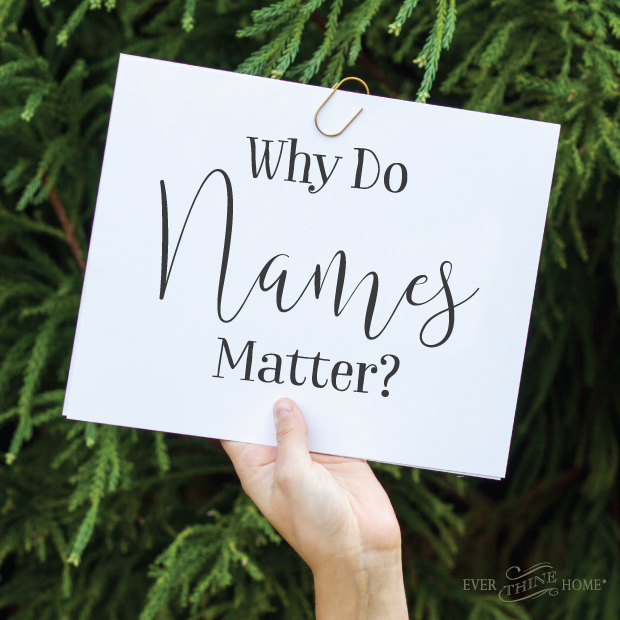 Because focusing on His names will cause the things of earth to fade in importance. Our misplaced affections will be righted as we ready our hearts to celebrate His first coming. May His names adorn your heart so that you can give prominence to the Savior of the world, Jesus Christ. Follow us on Instagram and Facebook to see each name. Thank you Mr. Dennis! God bless you! Your comment meant a great deal to me! I am a huge fan. 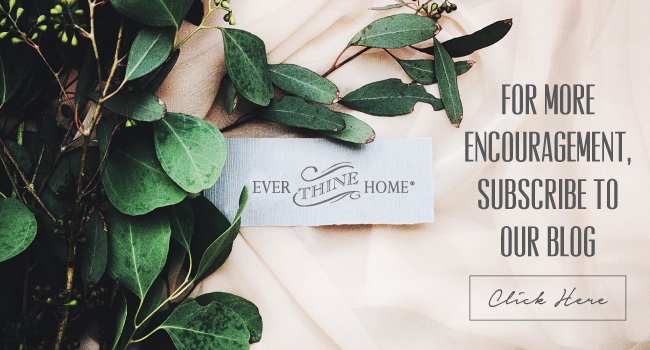 I love ETH, your blog provides a Biblical reconciliation to me, a silly pastor’s wife & busy mother of three. Thank you for time & time again-pointing me to the only thing that really matters, Jesus. Keep the faith. You are the only blog I follow. God bless & Merry Christmas to you. Stand firm and stand by your man in the ministry…you have a sacred calling and one that can’t be filled by any other person out of the 7B people on planet earth!